This was our first year with iPads in the elementary classrooms, purchased with Title funding. 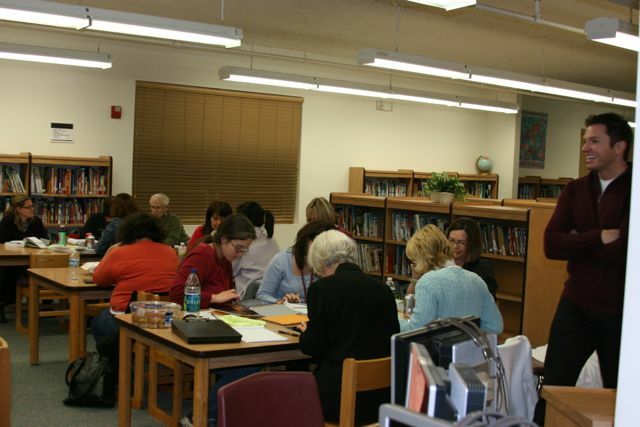 We've had several trainings with Tony Vincent, starting with a three hour introduction and a two hour follow up with fabulous center ideas for literacy, fluency, and spelling. After Tony Vincent helped us get started, we've become more comfortable with using them, and we're at the point where we were figuring out new ways to use them. 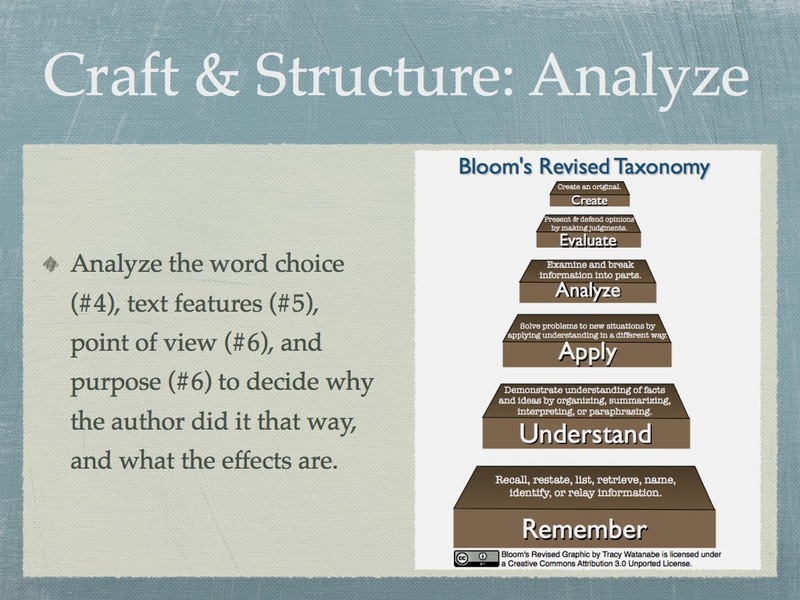 Below was an example of how they were being used in Title I with Shelly Brossman. 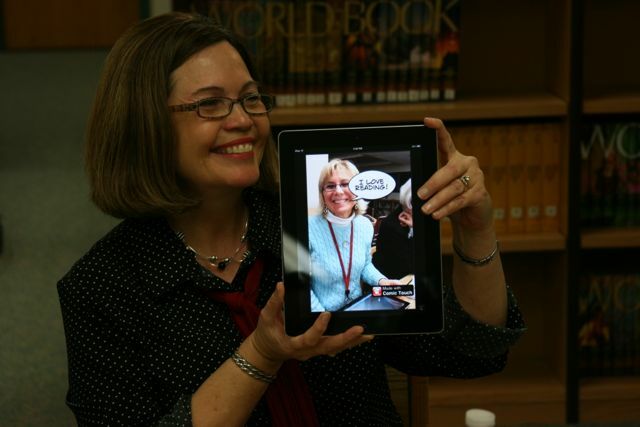 Shelly and I role played how to preview nonfiction text in this ShowMe video, created on the iPad in real time. Shelly then tried this with the students. They were completely engaged and paid more attention to their learning and why it was important. After the students were familiar with creating ShowMe videos to explain the the skills they were using, our hope was to see the homeroom teachers show their classes what these students have been learning, especially to review these skills. This was a fabulous formative assessment because there were students who really could apply various meaning and creatively show this, while other students could only think of one way to use the word. It also led into several discussions about multiple meaning words, and compared them to homophones. 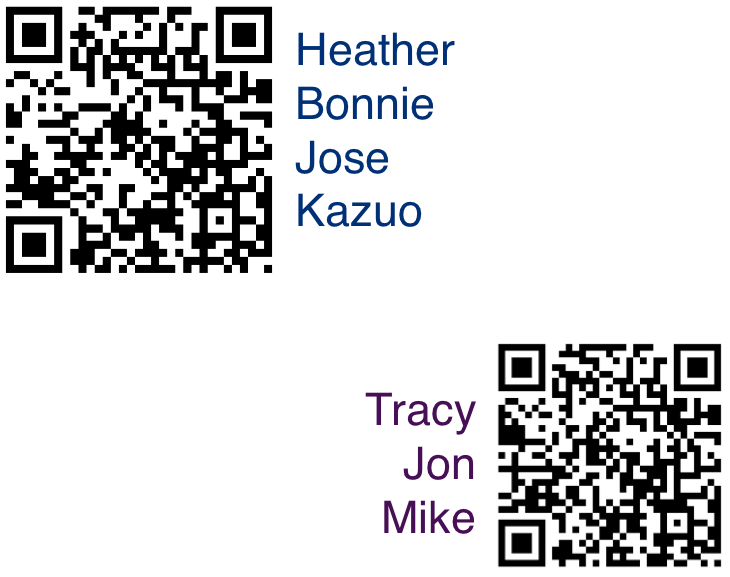 Second, create QR codes for the link to the test. 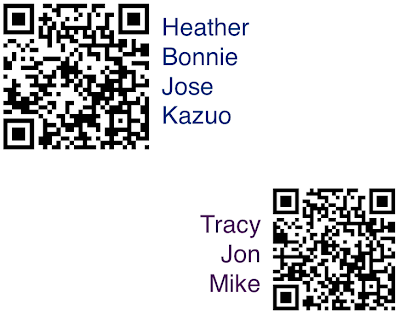 Third, place the student names next to the QR code of the test you'd like them to take. (I recommend having them on separate pages/places). The students benefited from taking a spelling test this way because they controlled the pacing, and could repeat the word as many times as needed. The teacher benefited because she was free to work with other students during this time. It also gave the classroom more flexibility to have the spelling test taken during centers or during other times throughout the day. When I was in Danielle Houseman's kindergarten class, I noticed she used one iPad to stream content to her students. 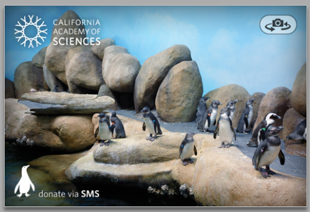 They were observing real penguins from a webcam, then they drew them, paying attention to details. There's an app that I found called Painting with Time, where you look at the same thing over increments of time. It had examples of the shore at low tide and high tide, it shows the changes in seasons, the changes in shadows throughout the day, and even a man growing out a beard. I thought this would be a fabulous app for students to create word problems that would correlate with the changes in time, and they'd also create the answer key. This would help them use time in context with their critical thinking skills, found in the Common Core and 21st century thinking. If I was a principal at a school with iPads, I'd have a Make-Take-Share time for my staff to work with their teams to create centers and learning activities with the iPads, and have them share back to the whole group what was created, how the students would learn with it, and how they'd introduce it to the students. I'd specifically ask if it would be introduced as a whole group, a small group, or would there be student experts they'd train to help teach the other students how to use it? I could even start this by having them explore the examples in my post, then have them work together to brainstorm their own. I always want to focus on the pedagogy instead of the tool; however, when there are new tools being introduced, it requires time to figure out the best practices with that tool, then you can focus on the learning. How have you used iPads in your classroom? What creative ideas, examples, or resources can you share with us? Thank you, Tony Vincent, for helping us get comfortable with the devices and for showing us how to engage students with them! What a wonderful post! Thank you for sharing your experiences and information. There is a Facebook page, iPad Education Dreams, where 200 of us share information and resources. Please take a look, it would be great if you joined us. Thanks so much! I didn't know about the iPad Ed Dreams group on FB, and have asked to join the group. I appreciate your sharing about this group because I rarely think about going to FB for my learning, and it's a great place to share and learn. Plus, I know many educators in my district have FB accounts and not Twitter, so this could be a place for them to go as well. As always, I appreciate your encouragement! 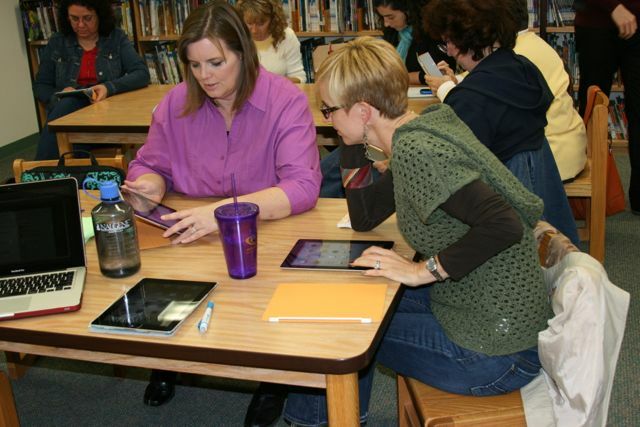 This is such an informative post about implementing iPads. Your staff was very lucky to get training from Tony Vincent, since he is such a guru. I really liked the examples of how the teachers are using various iPad apps in their classrooms and it gives me a place to start with my own use of an iPad in my classroom. I only have my own personal one at this time, but am hoping to get more. Thank you for sharing. I agree, we were very fortunate to have Tony Vincent get us started in the right direction. He had so many great ideas, and was very in tune with the level of readiness of his audience. I appreciated how positive he was, and how fun he made the training. I'm glad this gave you a starting place with your iPad. Even with one, you can have students create a quick presentation for closure on their learning, which is what Mrs. Goucher's 4th grade students did in this ShowMe, which ended up on her blog post. Hi Tracy, I've been training my staff on the use of iPads, and this week we will look at this post to try some of these activities. They're ready to jump off on their own and want to use their teacher iPads with students. Thanks for such a great post to show what is possible! I'm so glad that this post came at a good time for you. I found that the learning curve to start using the iPads was easy and even easier for the students. 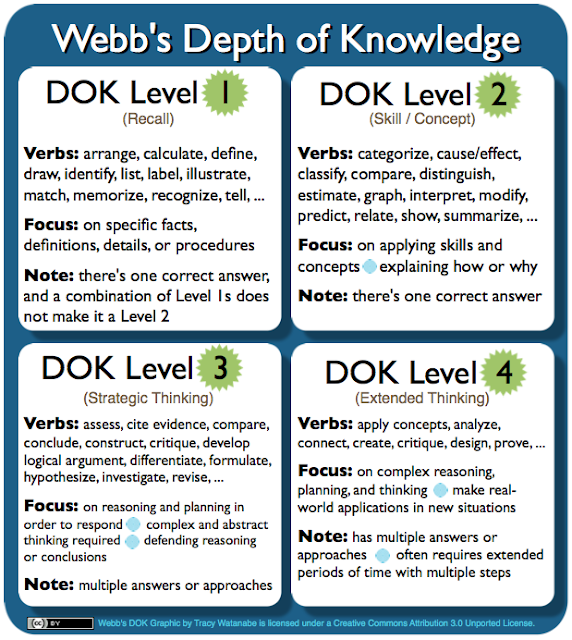 However, when it took a little time to figure out that moving up Bloom's Taxonomy to higher levels of thinking took a little more time to walk through it and figure out what procedures would be best, which is to be expected. I also liked getting feedback from the students about how we can improve the procedures, what tips we'd pass on to others, and tips we'd like to remember for next time we use the iPads. I look forward to hearing how your teachers and students do with them. Still waiting for the day that our grade will be lucky enough to have iPads in the class. At this time the kindergarten team are the ones with that particular tool. Explaining the different activities is very helpful. Often we see "app" reviews but it is nice to see someone "in the know" add some extra insight. Hoping that this will become a regular 'post idea' as I know it would be helpful and useful to so many. Thanks so much for your encouragement to post more about our experiences with them, especially since we are just starting to use them. It's been so inspiring to see how quickly they are getting implemented whereas other technologies have a much longer gestational period. I'll definitely share back the fabulous learning going on here because it's so exciting and rewarding! Thanks so much for your support, Nancy! I especially appreciate your thoughts about using the iPads for Make-Take-Share with teachers. We have a cart of 20 iPads this year, for shared use by the entire school. I think that my favorite apps, so far, for using with students are Show Me app and Google Earth. But I have a LOT to learn! The hardest thing for me to figure out, with a shared cart, is overall management. I am going to check out some of the apps and resources you have shared. The management of one cart for the entire school must be very tricky. We have 3 carts per elementary school, and each school does it a little differently. For example, at one school the teachers chose to break the set apart so there'd be several iPads in each classroom. When those teachers need more, they ask others to borrow, and sharing/borrowing has become common culture. At another school, it rotates by day for which grade level gets it. While another school chose to have it rotate per week, I believe. I also remember them tinkering with a checkout system, but I don't think that lasted very long. -- I'd love to hear what you've done to help manage the sharing of the cart. I favor the ShowMe app, and haven't even tried Google Earth yet. I'll be downloading it on my iPad as soon as I publish this comment. Thanks for sharing and reminding me of that! I really appreciate learning with you. Thanks so much for all you do! Thanks for another great iPad post! We have purchased ipads at my school and are about to start using them. They are going to let each teacher check them out for a two week period of time. During that time, teachers are going to play and learn and then share. We're trying to decide how to break up the cart. There are 3 levels at my school so we're trying to decide what will work. Your resources will be so helpful! I'm excited for you and your school! I like how you all have planned around the cycle of doing and sharing. That ongoing shoulder to shoulder learning and reflecting is key. I look forward to hearing how it progresses! I'm a writer for Scholastic Parent & Child Magazine and am working on a short piece about iPad use in schools. Would you have any interest in speaking with me about your elementary school's experiences (positives and negatives, funding, etc.)? I'd love to hear how effective your classrooms have found it to be and am also looking for any advice we might be able to offer other teachers, and even parents, on how they can get iPads in their kids' classrooms. Hope to hear from you soon! I'd be happy to speak with you about our experiences with iPads in our district. Would it be okay if our Director of Technology, Jon Castelhano, also added to the conversation? I believe he'll add some valuable insight. You can contact us at this link to set something up. Hello! What a amazingly looking personal resource you have! Did you apply all the settings to your blog on your own? Thanks. Yes, I customized one of the themes to the colors I like. 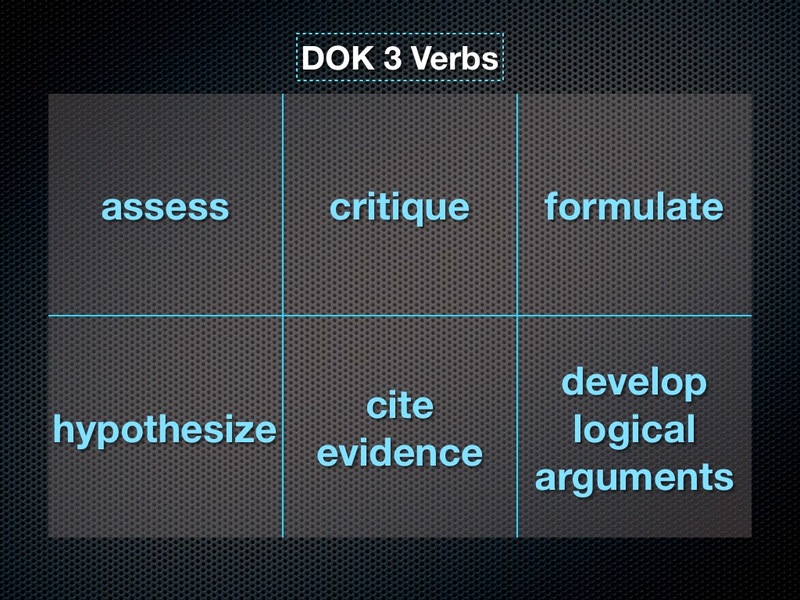 as kids will be motivated to study using their own resources. But I believe that American education system should be updated and high-tech classrooms are a little step towards improvements.